ITANAGAR, Feb 12: Fishes downstream of the 405 mw Ranganadi (Panyor) hydroelectric project (RHEP) are dying after the North Eastern Electric Power Corporation Limited (NEEPCO) shut down the project for maintenance on 9 February, prompting experts to call for testing the water to rule out adverse health effects and ensure the wellbeing of aquatic life. The NEEPCO says it is not responsible for the dead fishes downstream since it is not releasing silt from the plant. The head of the Ranganadi plant, PC Barman, said no silt is being released from the plant, and that the river’s flow is natural. 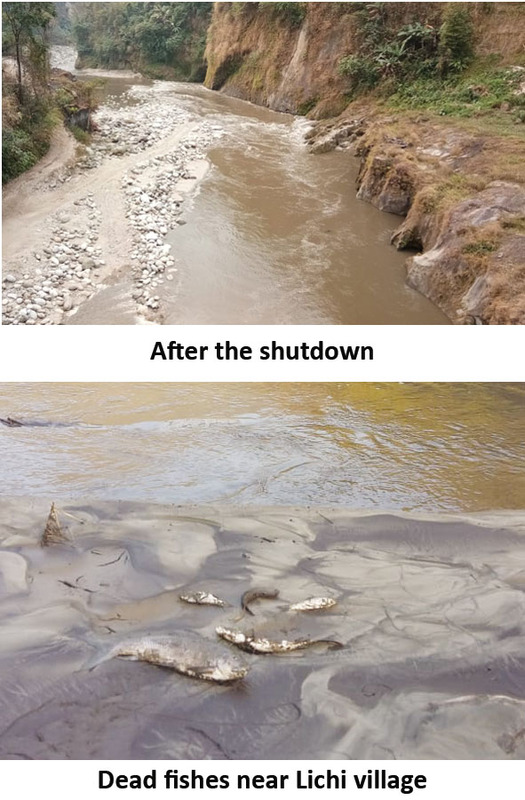 Although the NEEPCO authorities say that it is just releasing natural water flow, the water in the river downstream has turned extremely muddy since the shutdown began, even though there been very little increase in the water volume. The NEEPCO does not have an explanation yet why the river is muddy or why the fishes are dying, but fish experts say that the fishes are dying because of contamination in the water, which they say needs to be urgently tested to rule out health hazards, as well as to find out why the fishes are suddenly dying after the shutdown began. Dr Lakhi Prasad Hazarika, a fish expert who has worked in the region, says the fishes are dying due to chemical contamination. He says that indigenous fishes like Channa – one of the varieties that were found dead in the downstream area – can survive in extremely low dissolved oxygen. He says that, unless there is an adverse ecological situation, fishes cannot just turn up dead. Dr Hazarika says that the water needs to be tested to find out the reason why the fishes are dying, and to see if the fishes are safe for human consumption. Dr Vidyadhar Atkore, a fish ecologist from Bangalore-based Ashoka Trust for Research in Ecology and Environment who has studied freshwater fishes in Ranganadi (Panyor), also says the water needs to be analyzed to find out the exact reason. He says that Channa can withstand low oxygen levels but other carps cannot, adding that it is important to have the water quality analyzed. Dr Atkore says there is the possibility that a strong water force killed or injured the fishes, and also that changes have occurred in the fishes’ biological oxygen demands. 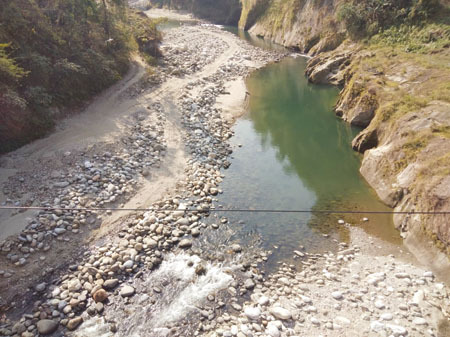 Himanshu Thakkar of the South Asia Network on Dams, Rivers and People says that the Arunachal Pradesh government should monitor the situation, and that water, silt and fish samples from the reservoir and the downstream area should be tested. “Silt and suspended matter will go with the water,” he says. On the other hand, Kimin SDO Likha Tejji said heavy silting is indeed taking place and turning the riverbanks into swamps. He said the aquatic life in the area is severely affected. The NEEPCO shutdown was supposed to start from 2 February, without a silt dumping site having been identified. Downstream organisations had opposed the shutdown, stating that unless a dumping site was identified, they would not allow the process to go on. Later, the Papum Pare district administration formed a committee to find a dumping site. The identified areas – one upstream and near the reservoirs, and the other downstream – were not found feasible. 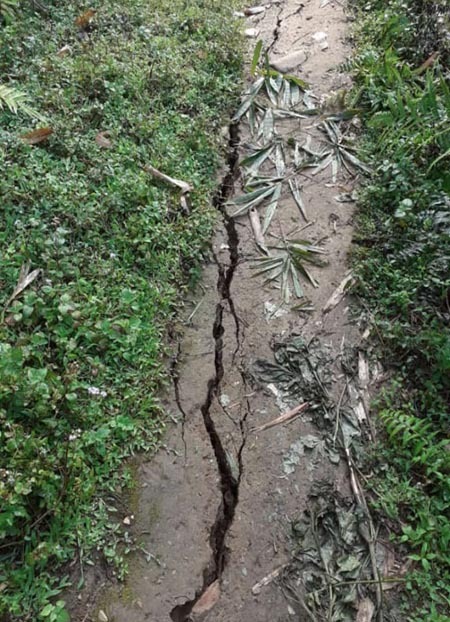 However, after an assurance from the NEEPCO that it would “gradually and slowly” release water, without silt and without affecting the aquatic life, the downstream organizations – the All Kimin Youth Welfare Association and the Lichi-Cher Ranganadi Project Affected Area Management Committee – agreed to the shutdown. The NEEPCO said a site is yet to be identified, and that, once the silt-dumping site is finalized, it will move the silt from the area. The shutdown was again postponed till 9 February evening, in view of Prime Minister Narendra Modi’s visit. The PM inaugurated the 110 mw Pare hydroelectric project, which utilizes the tail race discharge of the RHEP. Insiders say that the shutdown is because of a leakage in one of the tunnels of the power plant.